"A Destination in Its Own Right, a Unique concept accommodation to relax for the Highly Individual People (H.I.P)"
The Aim Hotel Patong Beach is the 72 keys 3 stars hotel with design of minimalist-styled concept modern cool and hip designed, beautifully furnished and equipped with the comfort. next to nearby Banzaan Market, Jungceylon Shopping Mall and the famous Bangla Road located at the heart of Patong City, Patong Beach, Phuket – The Pearl of Andaman Sea. are within the distance of a less than five to fifteen-minute by walk away. Concept as a savvy semi limited mid range hotel with ultra modern design and concept target for young travellers and couple very economical. Right in the heart of Patong City center. Part of 4 UniQue Signature Collection of The AIM by Andakira Collection combining with the unique experiences of Andakira Touches. 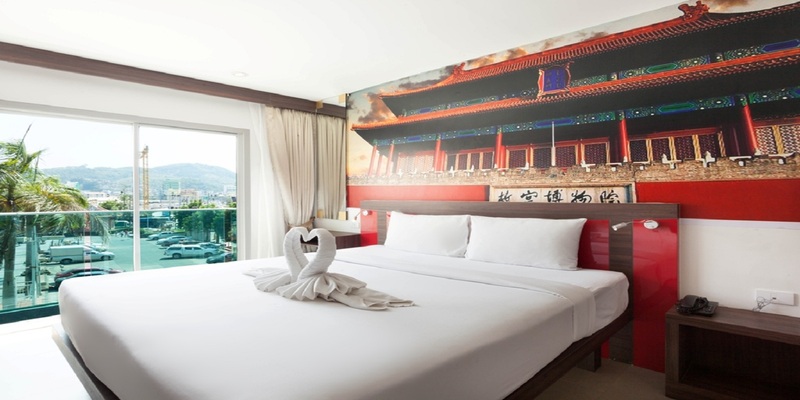 The Aim Hotel Patong invite you to travel to the 7 corners of the world. You can stay maybe in China, Japan, Korea, Europe like a Parisian or Moscow, America or the Big Apple even the Wild Wild West or even the Caribbean. What's more exciting at than arriving at the Terninal The Aim Hotel Patong reception "without knowing into which "gate" you will brought to? 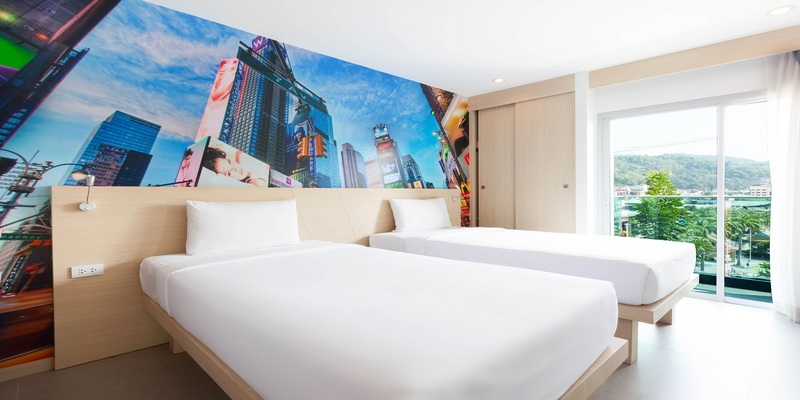 Either for a short business trip, a romantic weekend, night out with friends to Patong Night Life extravaganza or even shopping, The Aim Hotel Patong is offering a wicked mix of authenticity and modernism. 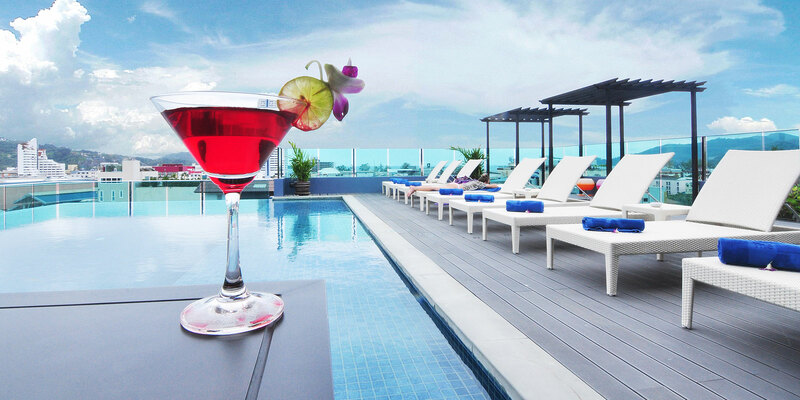 Offering an infinity swimming pool on the roof top where you can take a break and relaxed with a good 270 degrees view of Patong City and Patong Beach. 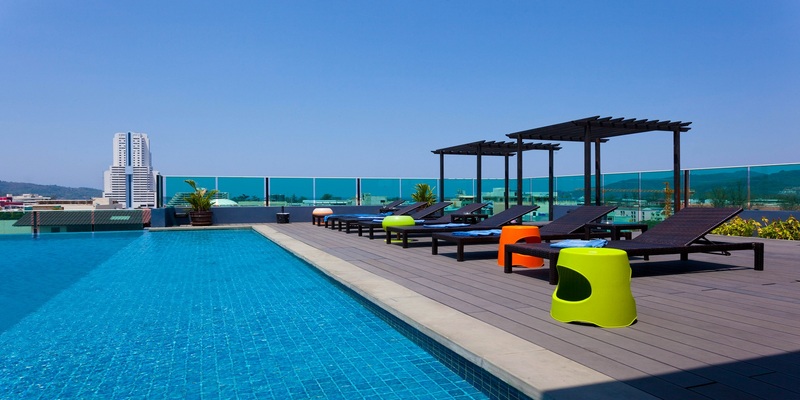 An affordable minimalist hotel right in the heart of Patong Beach. Imagine yourself boarding to go for your next honeymoon destination right form the reception till each hotel floors. Lucky 13 Sandwiches Restaurant. A reputable 24 hours chain restaurant to serve all our in house guest and also visitors.